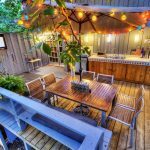 Awnings can be useful in a number of different ways. 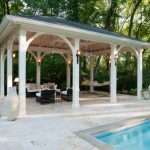 Over porches and decks, an awning can provide shade and a dry place to sit and relax. Over open windows, they can keep rain from entering the home. An awning over a door can protect the wood the door is made of from precipitation and provide shade, too. An aluminum awning is generally fixed in one place, though there are some retractable models on the market. It will provide shade and protection to anything underneath it. 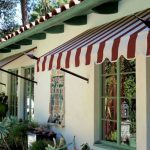 Metal awnings are available in many different styles and colors. 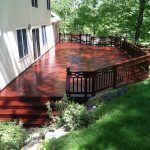 They can be mounted on almost every exterior surface imaginable. 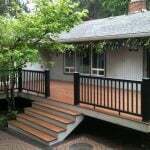 Aluminum awnings are affordable and generally take only a few hours to install. A metal awning is the toughest awning available. Unlike those made of fabric, aluminum awnings can hold many pounds of solid precipitation such as snow, hail, or sleet. Some models are even rated to stand up to hurricane strength winds. Many fabric awnings are meant only for protection from sunlight. They are designed to be rolled or folded up when moderate amounts of precipitation are expected. 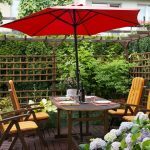 They are a cost effective way to provide shade and protection for any area around the home. When compared to cloth models, aluminum awnings are cooler underneath, provide better protection from sun and rain, and can last much longer (in some cases, metal awnings can last more than 50 years). The extra light that is blocked by an aluminum awning over a window translates into extra heat that doesn’t enter the house. Aluminum awning material can also be used for metal carports. They are a great way to protect your car without spending a lot of money on a garage. Once a metal awning is in place, it is virtually maintenance free. There are no problems with the material warping, bowing, or stretching. Rain or shine, a metal awning will perform its job for years and years without worry. Need to find a pro for your aluminum awning? In most cases, metal awnings, though not incredibly expensive, do cost more than fabric awnings. 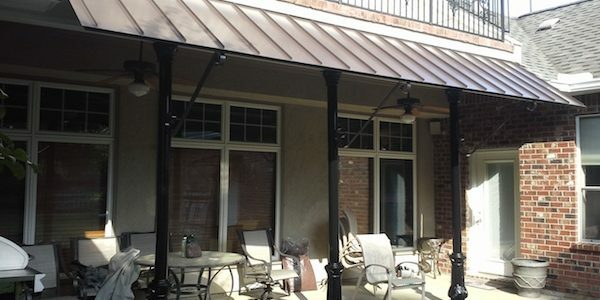 Many homeowners like the versatility of retractable awnings: Aluminum awnings that are retractable will cost more and will often take more time to open or close than a fabric one. 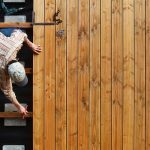 An automatic retracting system will be even more expensive. Since many metal models are stationary and sunlight is not, many people who want more sun during the winter months need to take down and remount aluminum awnings. 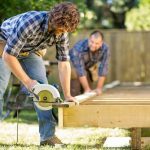 Though this seasonal removal and reinstallation doesn’t cause any harm to the awning itself, it can become a hassle. 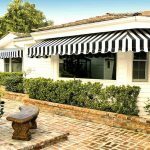 While there are certainly a number of styles and colors of metal awnings to choose from, fabric has them beat when it comes to selection. Fabric can also be easily printed with pictures, where metal cannot.